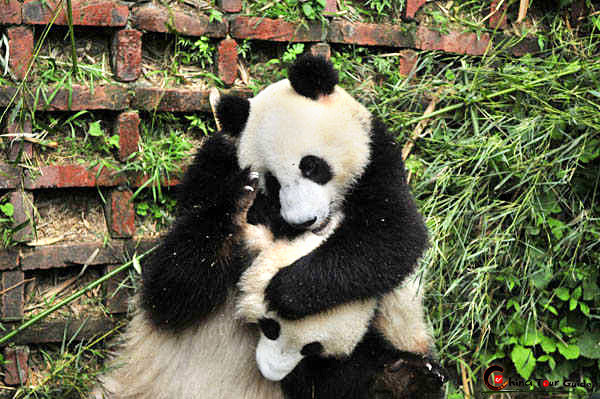 In addition to the wide variety of special foods available, Chengdu is a great place to find some excellent souvenirs at bargain prices. Some local products are interesting to look at even if you don't want to make a purchase. Shu(short name for Sichuan) Brocade is an interesting example of exquisite workmanship and detail. 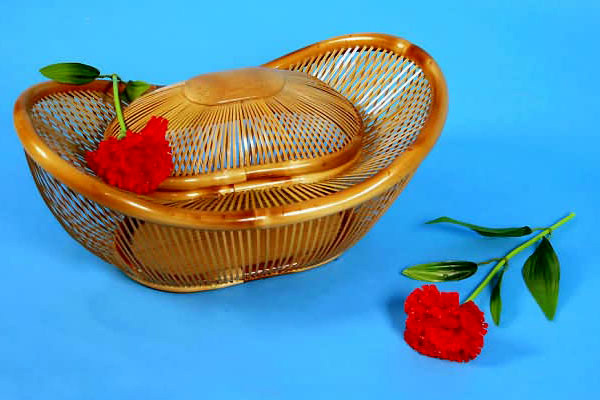 Throughout the city and abundance of Bamboo craftwork is available including: tablemats, chairs, vases and other pretty pieces. Equally impressive are the beautiful silverware pieces and Qingcheng Silk Tapestries. There is also a large variety of special local products you may want to taste such as Chinese alcohol, tea, and local foods. The most fashionable shops and lively marketplaces are located around Chunxi Road in Chengdu, with similar locations at nearby Zongfu Road and Luomashi. Knickknacks and local products can be had for a pittance at the night markets next to Jinjiang Hotel and Minshan Hotel, but negotiating is a must if you want a good deal. Colorful Shu brocade has a 2,000-year history and was once the cloth of empresses. This sought-after textile was being exported to Japan and Persia as far back as the Tang Dynasty, and is amazingly still available for purchase today. It is a mixture of various colors that are extracted from plants. Silk-woven, but durable, the brocade is soft and comfortable. Shu Embroidery is also famous for its truly superb craftsmanship. It is one of the four most famous embroidery types in China. The other three are Suzhou embroidery, Hunan embroidery, and Guangdong embroidery. Because of its detailed designs, skillful weaving, delicate feel, and vivid colors, Shu Embroidery has a great reputation for its high quality. 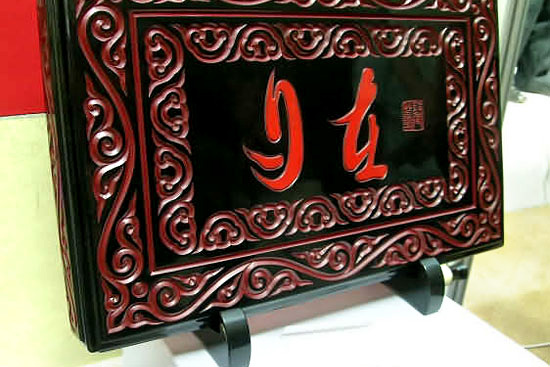 If you are looking for an authentic and beautiful Chinese product to commemorate your trip, this is a great choice. Shu embroidery shop in Chengdu. Using a special technique, producers can intertwine bamboo and porcelain to create ornate designs and decorative pieces. Traditionally, they can make vases, coffee sets, tea sets, bowls, jewelry boxes, writing materials, pen containers, and bamboo trays among a host of other items. These nifty decoration pieces are currently very fashionable in the West. 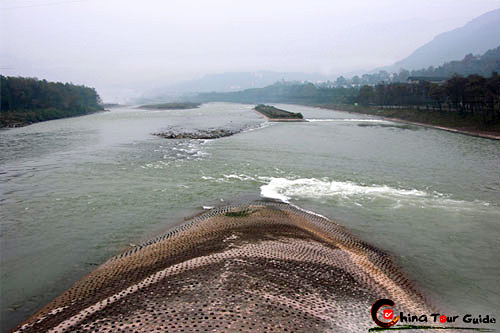 If you would like to purchase some high quality ones, the Chengdu Bamboo-weaving Arts and Crafts Factory is the most famous factory making bamboo products in the area. The prices here are much more reasonable than if you buy them in your home country. 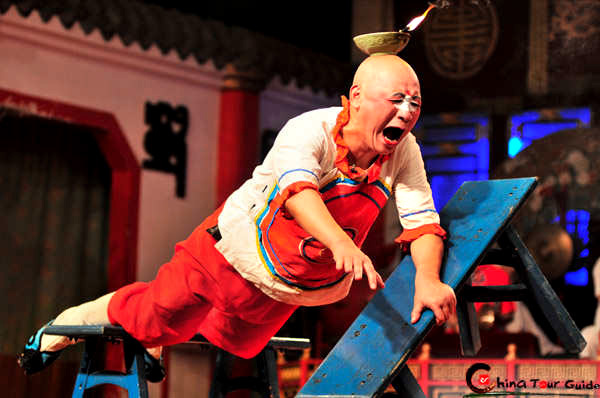 Chengdu is one of the country's major producers of lacquer ware, which is famous for its longevity, ability to resist corrosion, and unique gloss. The skillful craftsmen engrave the object with floral designs, gloss it with color lacquer, and then polish it repeatedly until it is clear as water and as bright as a mirror. Lately many new technologies such as hidden designs, latent designs, and drawing have been introduced. The result is an exquisite gift or souvenir that you can be proud of. If you watch a master artist for a while, you can also take back a story of how it is made. Chengdu is also famous for its Lacquer Wares. 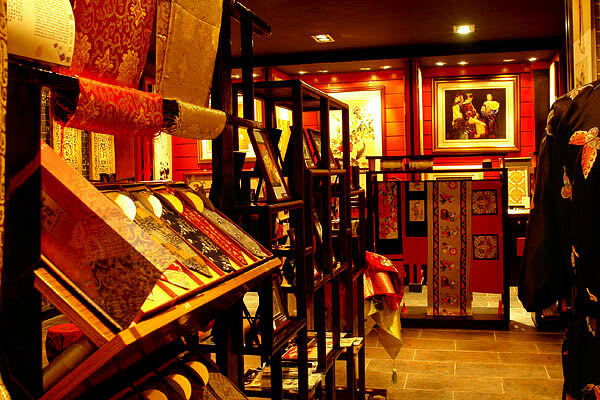 Though Chunxi Road has a history of a hundred years, it is still a fashionable place to shop. There are more than 700 shopping malls, department stores, supermarkets, and small stalls widely scattered in the areas around it. 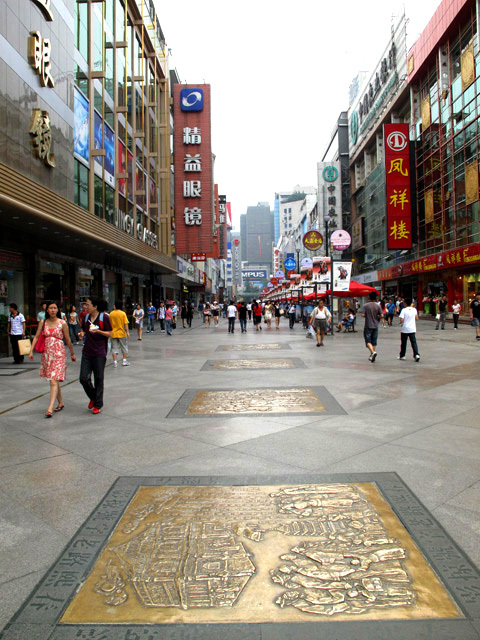 This street has become closely identified with Chengdu culture as the shopping district is a symbol of the city's commercial side and a landmark feature for decades. Department stores, boutiques, modern cafes, a spacious square, and pretty girls will leave you a pleasant memory. 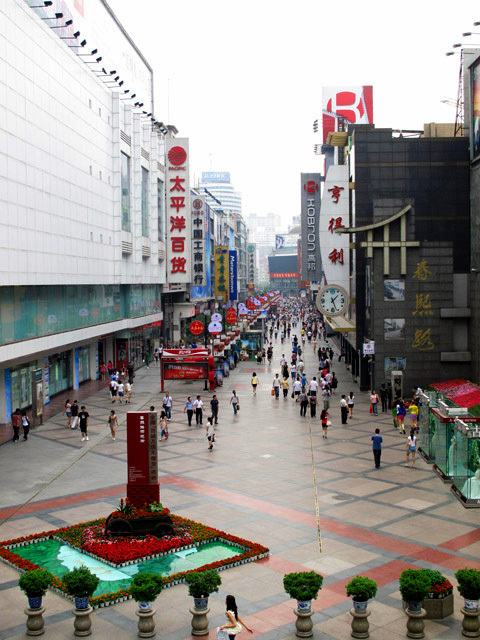 Visiting this shopping district is a must for all avid shoppers coming to Chengdu. Overview of the Chunxi Road. Chengdu shopping mall on Chunxi Road.